After spending her winter at the dry dock in Portugal and finishing up all repairs, rejuvenated Shtandart returns to the sea! It’s your wonderful opportunity to take the shakedown cruise of the sailing season 2017 (Shtandart’s 18th season!) with us. From Vila do Conde we’re going to cover 400 nautical miles over the Atlantic Ocean along the coast of Portugal towards the Spanish port of Puerto de Rota in The Gulf of Cádiz. These days Vila do Conde is just a small fishing town, but back then due to its’ strategic location it played a major role in marine trade. In the days of The Roman Empire, Vila do Conde exported salt, later in the Age of Discovery it became the main port of Portugal with lots of ships outward-bound for new lands. While the ship is at the dock, you won’t be bored. 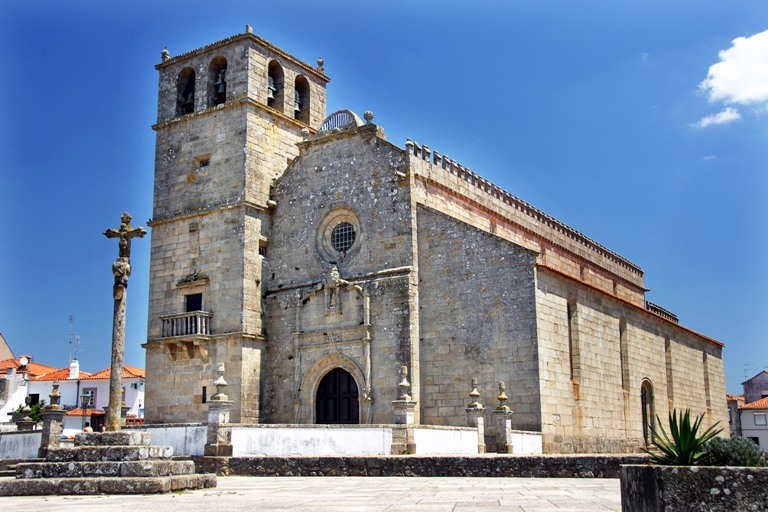 You can explore the Monastery of Santa Clara built in 14th century, take a peek into a plethora of the town’s churches or spend a day on the beach sunbathing and swimming. The scenic route along the coast will bring you to one of the major local attractions – the Forte de São João Baptista. After that we’ll go sailing. 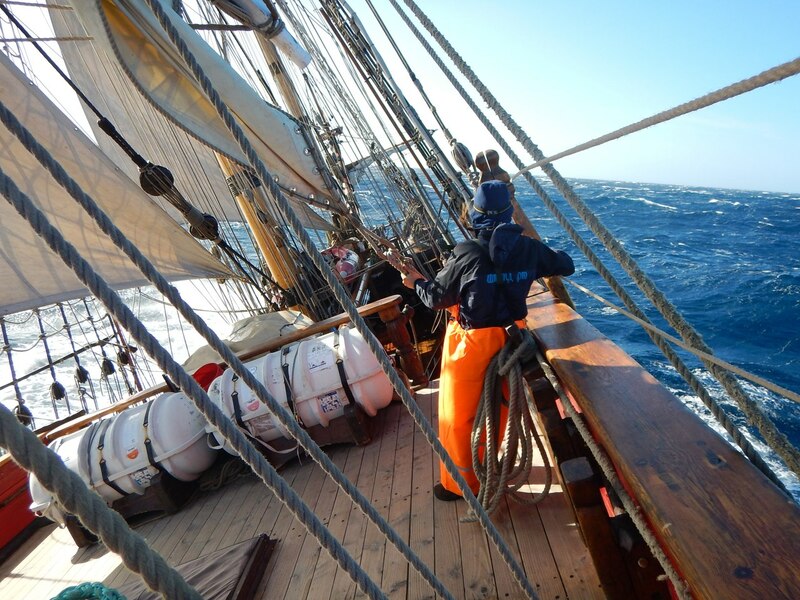 Underway, Cádiz-bound, you’ll gain maritime knowledge and learn new skills, such as sail handling and working the rigging; you’ll stand day and night watches at the helm and will have an immersive experience of the 18th century sailor’s life. Be prepared for the Atlantic swell and winds that are stronger than the ones of the inner seas. But you can bet that the pods of dolphins will accompany us almost all the time! Depending on the weather we might stop by Spanish Cascais, not very far from Lisbon, where the longest river of the Iberian Peninsula – the Tagus [Tejo in Portuguese] – flows into the Atlantic Ocean. The 25th of April Bridge makes for a spectacular view. We may also stop by Portimão in the Algarve region of South Portugal. And the leg will end up in Spanish Puerto de Rota, 30 km away from Cádiz that is said to be the most ancient European town and was considered “the end of the world” by ancient Greeks. 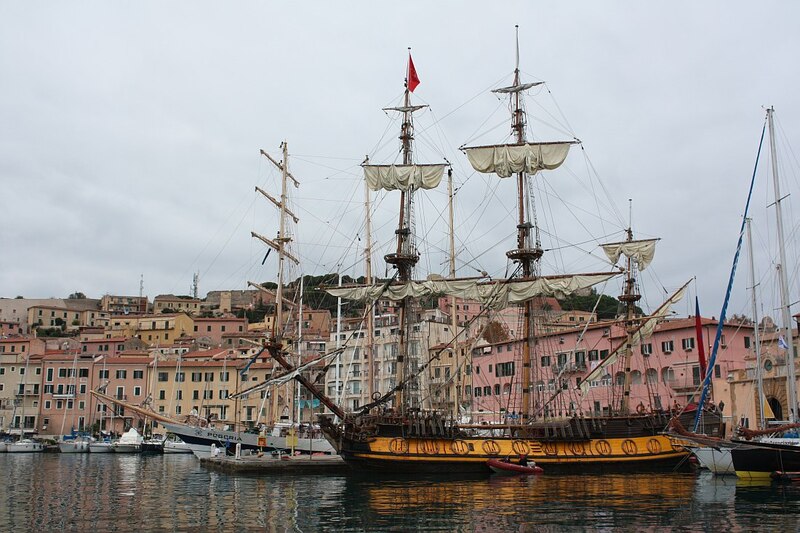 Columbus ships as well as other Spanish expeditions started their journeys from the neighboring port Palos de la Frontera.